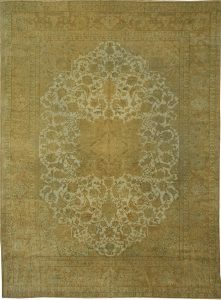 There are two types of Isfahan’s: the antique silk and metal thread “Polonaise” rugs woven on looms established by Shah Abbas (r. 1587-1629), and the finely woven 20th century revival pieces created by Serafian and other master weavers after about 1920. 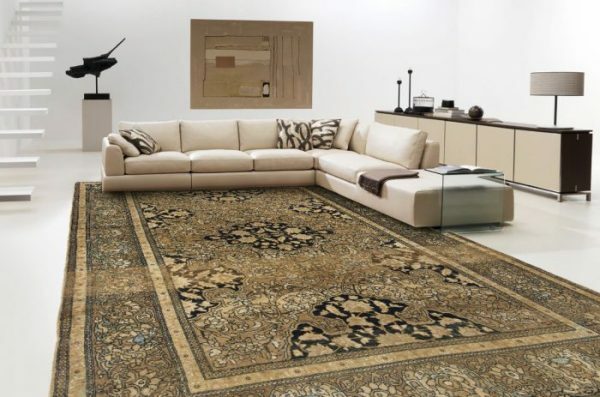 This town today, once the Persian capital and located in central Iran, has a population of over 400,000, and its ultra-fine rugs, often in complex medallion designs, are popular with the wealthy worldwide. 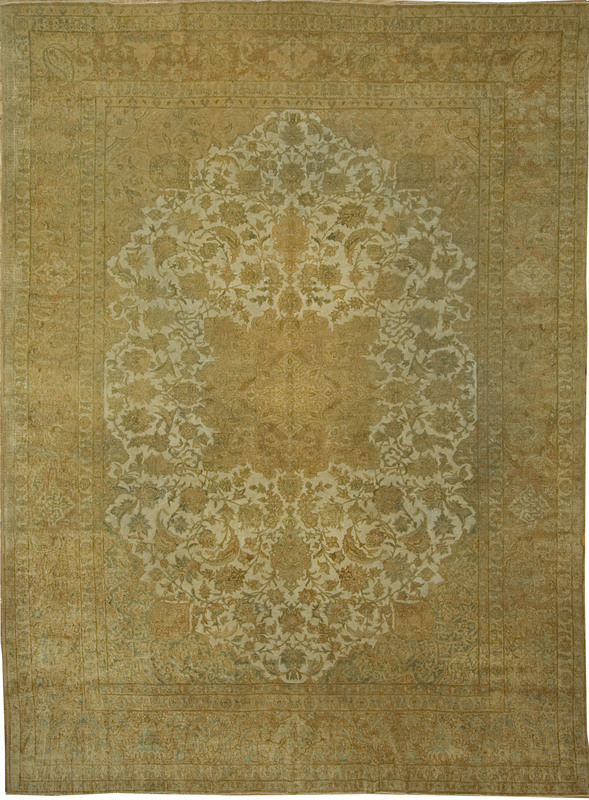 The short pile has a velvet feel and the designs are dizzyingly elaborated in the field with equally detailed borders. The numerous colors are crisp and abrash is kept to a minimum. Designs include fantastic prayer niches, semi-pictorials illustrating Persian landmarks and illusionistic copies of paintings and photographs.